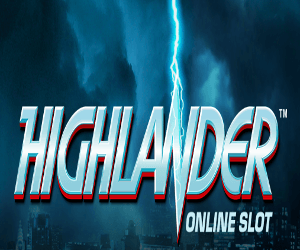 Highlander Slot Due from Microgaming in December! Michael Kamen and Queen have both taken their time to display their talents on the soundtrack of this blockbuster film, Highlander! Now, it’s time for Microgaming to give it a twist by implementing the movie in its very own online slot. This movie is one of the greatest cult hits of the 80’s. It is also set between New York City and an ancient Scotland. After the movie’s release in 1986, it became the most watched classic in the history of time. The story is about Connor MacLeod, also known as the Highlander. He is an immortal warrior that has lived for several centuries and is the only person who has survived from his clan. In 1985, he finds himself living in New York City running an antique shop. Eventually, he falls in love with a forensic scientist named Brenda. His biggest discovery is that he must now face his greatest enemy, Kurgan, who is desperate to have him beheaded to attain vast knowledge and enslave the human race. Microgaming, one of the leading game providers in the industry has taken it upon themselves to make an entertaining slot game that portrays this movie. The only information we know about this game is that it is a 243 way to win slot. Get ready to join Connor on a mission to defeat his immortal enemy for a massive prize! The movie magic is captured by a poster art style and a booming guitar soundtrack as well! Ready yourselves for the release on the 6th December 2017.